Last week we had our first rain of the summer. Which was beautiful, of course, but combine that with 114 degree air and it was a steam-bath! This week the Desert decided to take a break from the heat and so far we've been in the mid 80's. It practically feels like winter! 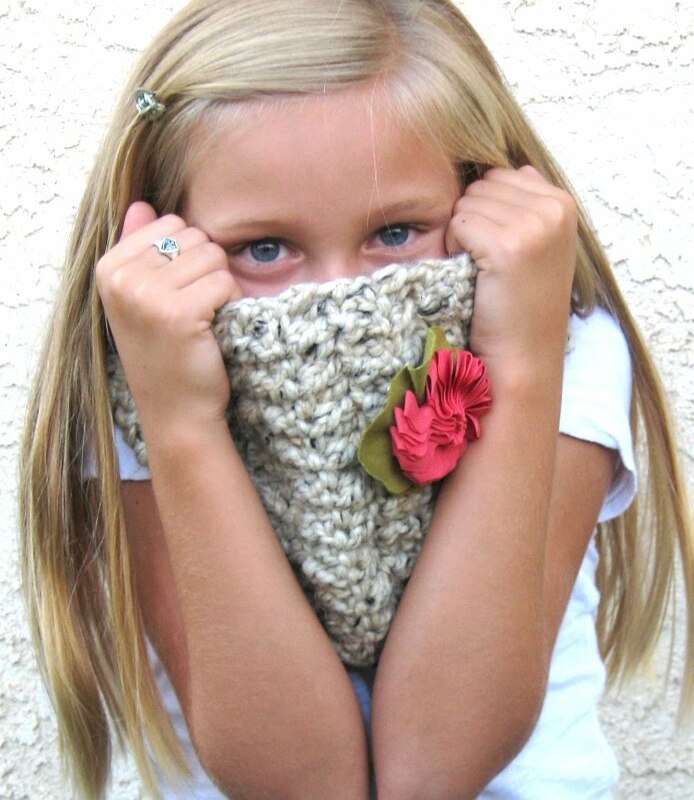 I've been working on some chunky Cowls and Neck Cozies for Kiddos and Adults. Little Cami was a DARLING neck cozy model - and never complained about standing in the weeds while I was trying to get the best light. I'm off to visit family in Utah for a few days. I'm taking nearly half my yarn stash with me. It'll give my nimble fingers something to do on that loooonnng 9+ hour drive. Look for more Cowls and Cozies in lots of colors soon! I LOVE how they turned out! 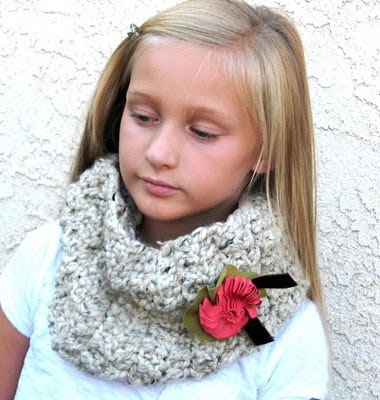 I do believe that the flower on this neck cozie is my favorite! Thanks for the linky link!